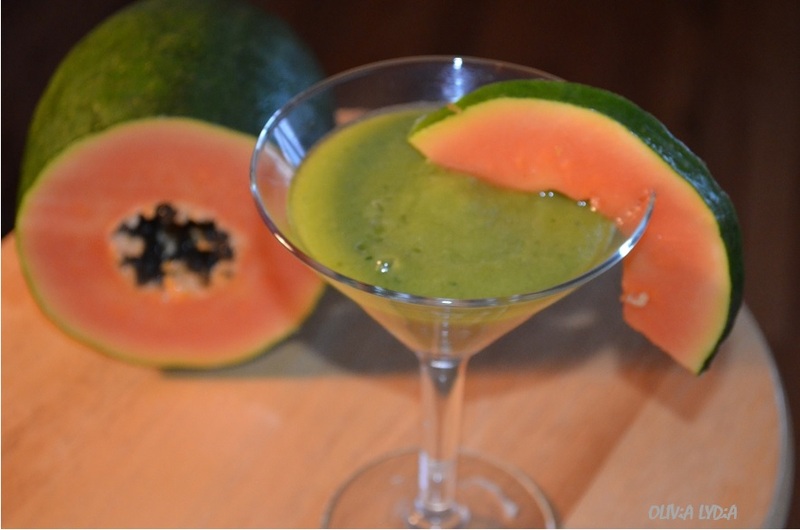 3 Green [Not SO Green] Smoothie Recipes! – Olive For Greens. 3 Green [Not SO Green] Smoothie Recipes! After I wrote Taking a Break-Fast! I realized I should provide more green smoothie recipes with a little less green. Mostly because some people are new to the idea of having green smoothies. Featured are 3 green smoothies with less “green” taste and more nutritional value than your average fruit smoothie because of the greens: Island Girl, Ginger Pearing & Strawberry Oatmeal Green Swirl! The sweetest one is definitely “Island Girl”-in case you were wondering! This smoothies was inspired by my roots, Puerto Rico. The ingredients in this smoothies emulate the islands most popular fruits. If you’ve never worked with Papaya before, it is handled like cantaloupe. Cut it in half, discard the black seeds and green skin then chop it into cubes. Starting with the coconut water, add the romaine lettuce and blend that together first. Now add each remaining ingredient, in the order listed above, to the blender. Tip: Ice cubes are optional. If your smoothie isn’t cold enough, add the cubes directly to the cup you will drink from or add to the blender. 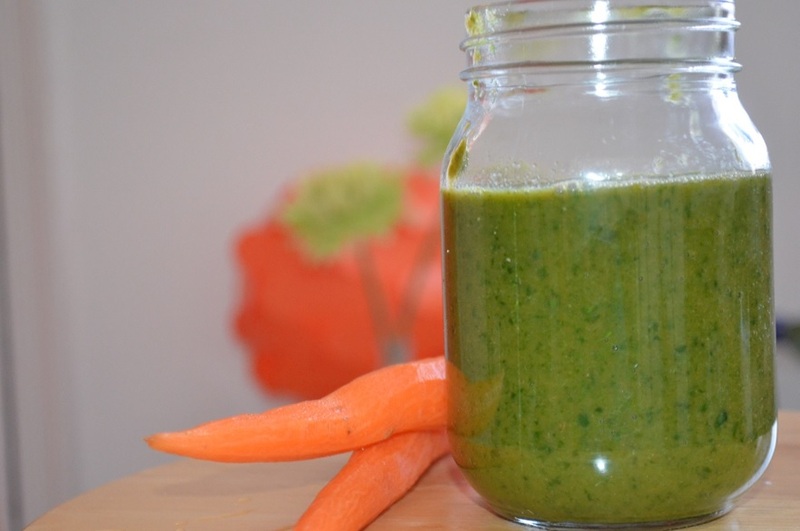 This green smoothie was inspired by all of the Asian recipes I experiment with. It has a kick to it, because of the ginger, and can be a great snack between meals. Starting with the almond milk, add the carrot and blend that together first. 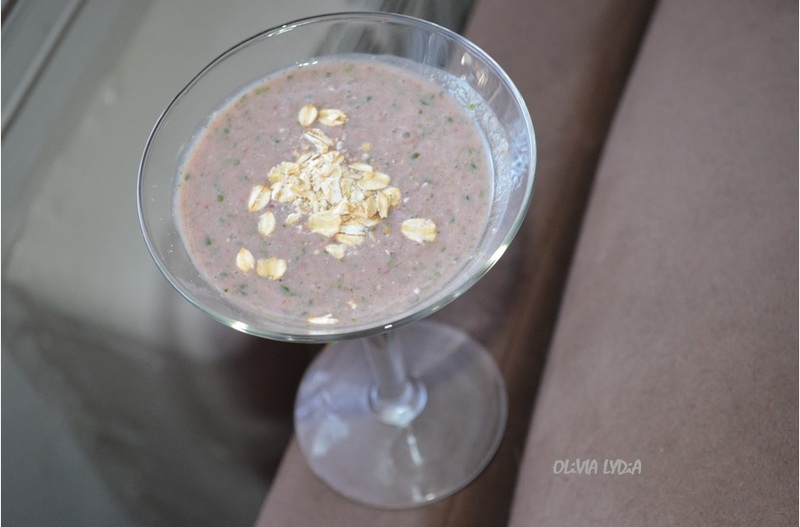 This recipe was inspired by one of favorite meals as a kid- strawberry oatmeal! On the weekends, sometimes I have this for breakfast or after I have my green smoothie (before lunch) as snack. This is, as you can see, less green. You do not taste the green at all but you get all of the nutritional benefits from it. It’s like hiding cauliflower in mash potatoes for kids- or yourself! Be sure to follow the instructions below or your smoothie will be a different color. Add the Almond milk. Slowly incorporate the strawberries. Once blended add the raw oats, extract, cinnamon, honey and walnuts (if desired). At this point the smoothie bright pink. Add the spinach. Only blend for a few seconds- until there are green flecks throughout and a very slight change in the color pink. Click HERE for more green smoothie recipes!